How can I transfer my unused federal tuition amounts to my spouse, common-law partner, or relative? Before you can transfer any of your federal tuition amounts to an eligible family member, you must first figure out how much of a credit is available to you, as well as the amount you’ll need to reduce your own federal tax payable. 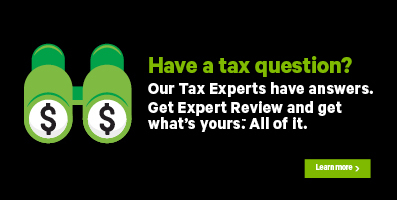 H&R Block’s tax software calculates these amounts for you once you’ve entered the information from your T2202A into the program. Which family members are considered eligible to receive a transfer? Note: You can’t transfer tuition (and education and textbook) credits that have been carried forward from a previous year; only current year tuition amounts can be transferred. When transferring these amounts to an eligible family member, be sure to complete the transfer section of your T2202A certificate and provide a copy to the person receiving the transfer amount. If your spouse is claiming the spousal (or common-law partner) amount on your behalf, your spouse is the only person you can transfer your unused tuition amounts to. If you’re transferring both your unused federal and provincial tuition amounts, they must be transferred to the same person. The maximum credit amount that can be transferred is $5,000 less any amount you used on your own return. On the WRAP-UP tab, click the OPTIMIZATION icon. Note: If you don’t want to transfer the maximum amount, you’ll need to indicate how much of your unused amounts you’d like to transfer. From the dropdown menu, select the person you wish to transfer these amounts to.